What do the scholars of the Din and muftis of the Sacred Law state regarding the following issue: will the fast break by inserting medicine or ear drops etc. into the ear, there is a lot of confusion in this regard. It is requested that an answer is provided with clarity. 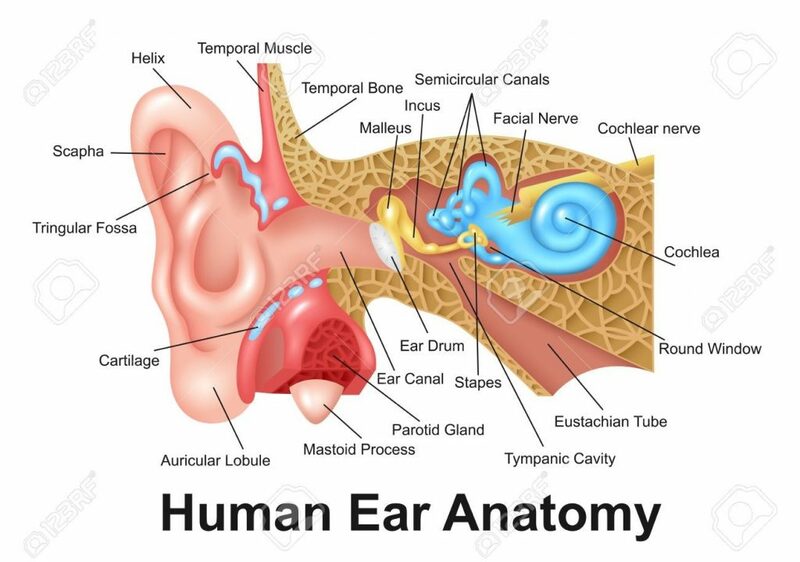 The ear has three segments; outer, middle and inner, between the outer and middle there is an eardrum. Through the outer segment any liquid; medicine or oil etc. doesn’t reach the middle segment, due to the eardrum, because there is no route between the outer and middle segments. As can be seen in the picture below. Subsequently, according to new research by inserting medicine or oil in the ear the fast does not break, with the condition that the eardrum is not perforated. Also, if the medicine etc. inserted into the ear does penetrate then it is not via routes rather it penetrates through pores. A principle of Hanafi fiqh is anything that reaches the throat or stomach via routes, breaks the fast, on the contrary for via pores. Regarding this, evidences will be presented from credible books of Hanafi Fiqh. Snakebite doesn’t break the fast, even though by a snake biting poison enters the body. However in spite of this, the honorable scholars of Fiqh haven’t stated it as an invalidator of fast. Rather it is associated with those exceptions that make it permissible to break the fast. The author has mentioned five exceptions for breaking the fast and the remaining are; compulsion, fear of fatality or the fear of losing the intellect, even if it is due to thirst or intense hunger and also due to a snake biting. If a snake bites someone, it is permissible to break the fast in order to drink medicine. If someone applied oil, surma or had cupping done, such a persons fast will not break, even if the taste of the oil can be felt in the throat, even then the fast will not break, because it’s effect reaches the throat through pores. Whereas the fast breaks when something enters via the routes. It’s mentioned in our books of Fiqh that the fast does not break by doing ghusl, even if any coolness is felt from it. Although, by doing ghusl water enters the body via tiny holes present on the skin i.e pores and the fast does not break from this. It is agreed upon that if someone does ghusl in water and feels coolness in the stomach from it, even then his fast will not break. It is known through these fiqh texts, that the fast breaks when something reaches the throat or stomach via routes, not via pores. Also if something enters via pores and reaches the stomach, then by this the fast doesn’t break. Inserting medicine or oil into the ear doesn’t break the fast because in this case medicine isn’t reaching the throat via routes. Although it can penetrate via pores, the fast doesn’t break due to this, as discussed. Read the original Urdu answer here: [Q-ID0510] Does entering medicine or oil into the ears nullify the Fast? ← [Q-ID0509] Can I ask for my height to be increased? Is there such a dua I can recite?